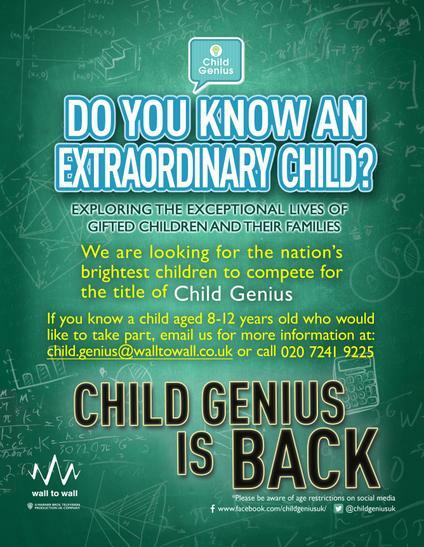 Child Genius is a TV programme who are currently working on their 7th series and looking for parents with high-achieving 8-12 years old, who may potentially be interested in hearing more about the TV programme. 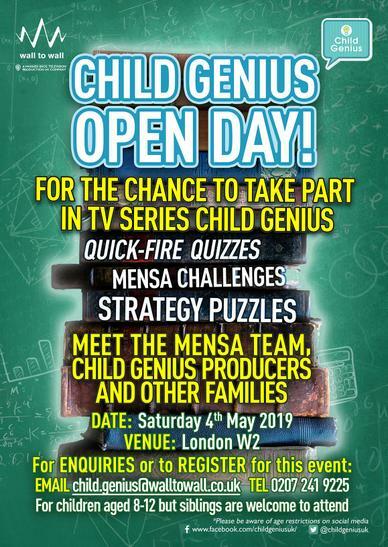 Taking part in a TV show is a big decision, so as part of the casting process an Open Day on Saturday 4th May will be held in London for children and families to attend. It is a fun day, offering parents and children a chance to find out more about the show. There will be no obligation to take part in the series. If you are interested please email child.genius@walltowall.co.uk to request an application form.